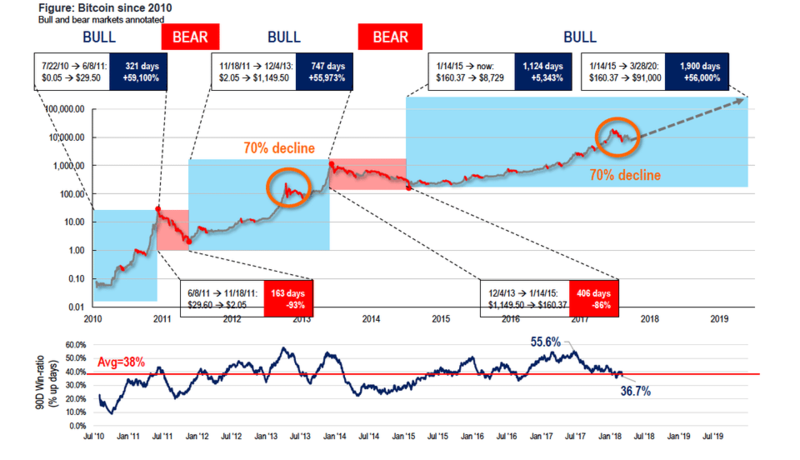 In this article, we list the top 5 Bitcoin price prediction charts for 2020. 2020 is an important year for the Bitcoin price – this is when the next mining reward halving is due to happen. The bitcoin network has a quite high inflation rate in the form of Bitcoin rewards to its miners. However, after a certain number of blocks have been mined the reward is reduced. History shows us that this has affected the price in a positive way. Here we’ll analyze how the price developed about one year before the halving, to one year after the halving. • What is Bitcoin halving? • Why does Bitcoin halving effect the price? Bitcoin halving is the term given when the network halves the mining reward. The intervals are pre-programmed and at intervals of 210,000 blocks. It is not fixed in time when it should happen, but it is possible to calculate the approximate date. Why does Bitcoin halving effect the price? Inflation in the Bitcoin network is dependent on the Bitcoin halving. In March 2019, the mining reward stood at 12.5 Bitcoin per block and this will be halved sometime around May 2020 to 6.25 Bitcoins per block. Since there is 1 block every 10 minutes, the inflation rate is 6 x 24 x 5000 = 9,000,000 USD every day in April 2019. 5,000 = Bitcoin price in April. Bitcoin mining reward is a kind of inflation. Inflation means that you increase the bitcoin supply. As the supply increases, the demand must increase by the same amount. You will see a decrease in value if demand doesn’t keep up. However, if you reduce the inflation rate and the demand stays untouched, you will probably see an increase in the price of Bitcoin. Understanding this is one key element of fundamental analysis and predicting where the value of Bitcoin is going. The first halving of the mining reward happened on the 28th of November in 2012. Before this the mining reward was 50 BTC per block, and afterwards the mining reward was 25 BTC. During this period the Bitcoin price went from approximately $10 to $1,000 with 1000 % increase in price. The second halving of the Bitcoin mining reward took place in July 2016. This led to the mining reward going from 25 BTC to 12.5 Bitcoin. During this halving period the Bitcoin price went from approximately $1,000 to $10,000 with 1000% increase in price. The next Bitcoin halving will approximately occur in May 2020 according to estimates. Then the mining reward will be reduced from 12.5 to 6.25 Bitcoin per day. The big question is: will the price movement repeat itself with Bitcoin’s value climbing from approximately $10,000 to $100,000, corresponding to another 1000% increase? Tom Lee, Global Advisor’s Funds Head of Research, thinks Bitcoin could rise to $91,000 by March 2020. In the graph below you can see his analysis. IHODL is a multilingual news and analytics website and covers more than just cryptocurrency analysis. However, they have published a very illustrative chart regarding the Bitcoin price prediction for the next halving 2020. Joah Rager is a trader and investor with a popular Twitter profile. 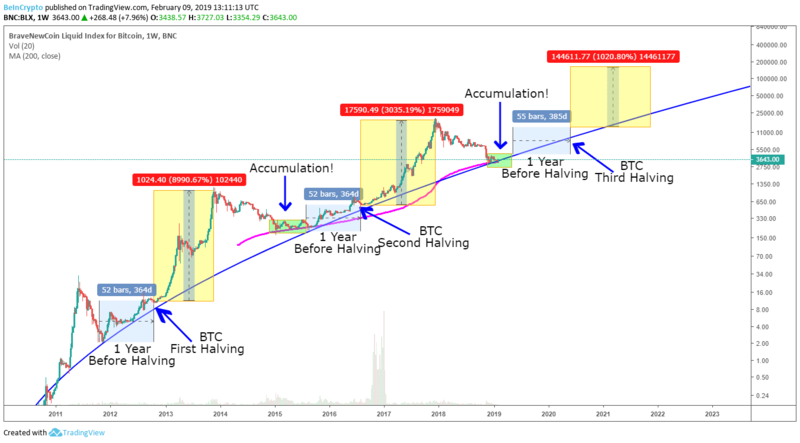 He has done a variety of informative charts on a long-term bitcoin price prediction based on previous halving outcomes. He believes the next Bitcoin peak is in July 2023 and that Bitcoin could peak at $150,000. In the chart below you can see the back-up for his argument. This is a cryptocurrency digital newspaper that doesn’t accept any paid content at all. They aim to report honest and transparent content to cryptocurrency media space. 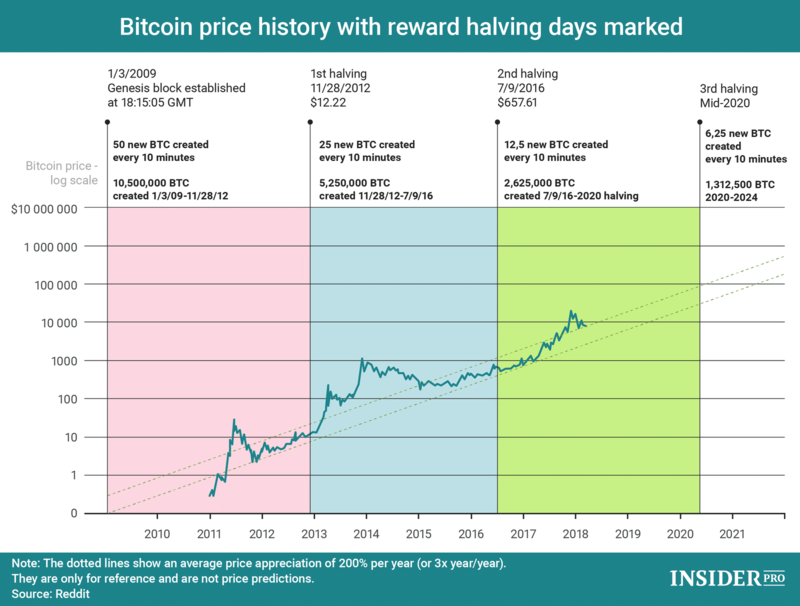 Here they have published some bitcoin prediction charts for Bitcoin halving 2020. PlanB is a popular medium profile that has done an analysis based on stock-to-flow and halving. 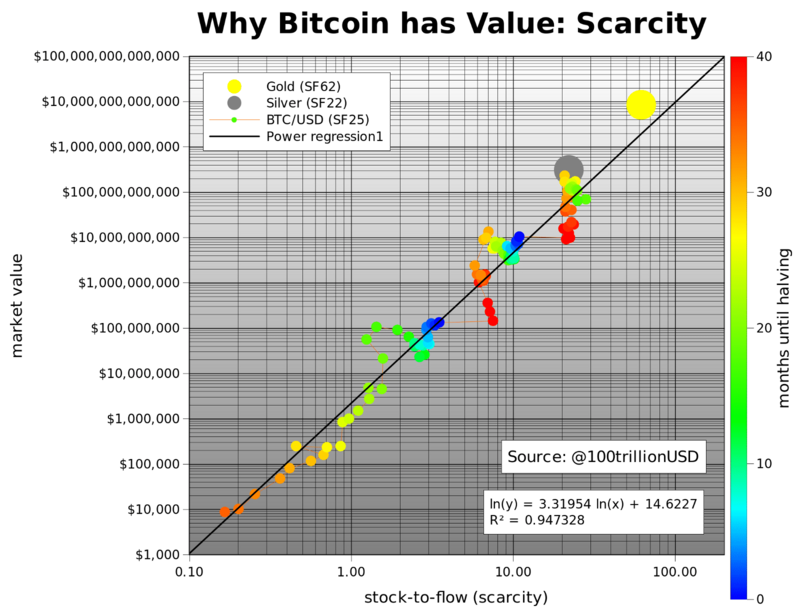 The title, Modeling Bitcoin´s value with scarcity tells you what this article is about. The analysis including good research and nice charts to back up the Bitcoin price prediction for 2020.